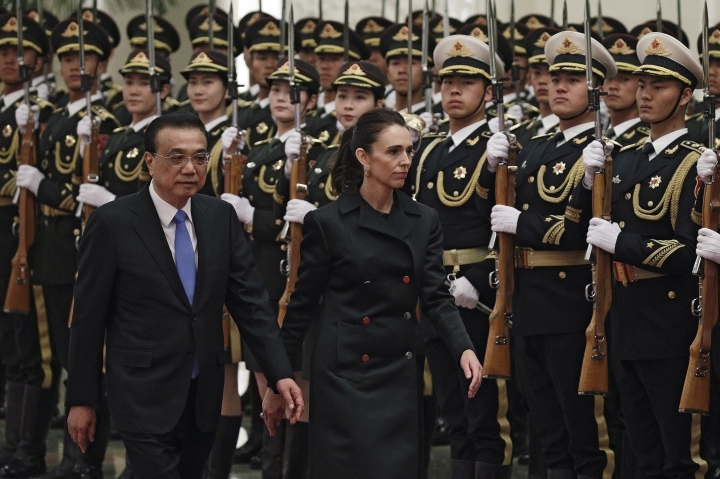 BEIJING — Chinese Premier Li Keqiang urged New Zealand to provide a "fair, transparent, convenient" investment environment in a meeting Monday with the country's prime minister, Jacinda Ardern, that comes amid a dispute over use of Chinese telecoms equipment. Relations between the two countries have been strained since New Zealand in November stopped mobile phone company Spark from using Huawei gear in its planned 5G upgrade because of security concerns. In opening remarks at their meeting Monday in Beijing, Li did not mention Huawei directly but said China wanted improved relations that would serve the best interests of businesses on both sides. 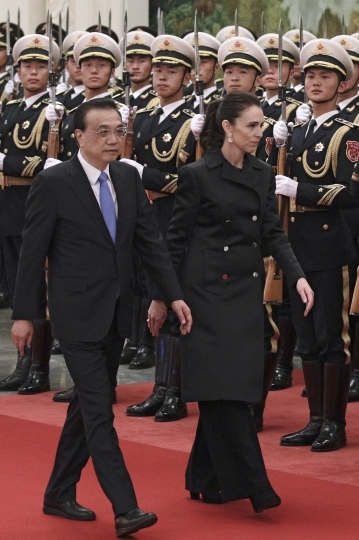 "China ... is willing to, on the basis of mutual respect and equal treatment, elevate mutual political trust with New Zealand, expand practical cooperation and increase personal exchanges," Li told Ardern at the Great Hall of the People, the seat of the legislature in central Beijing, following a formal welcoming ceremony. "And we hope that ... when each side's businesses invest in each other's businesses, they can enjoy a fair, transparent, convenient environment," Li said. 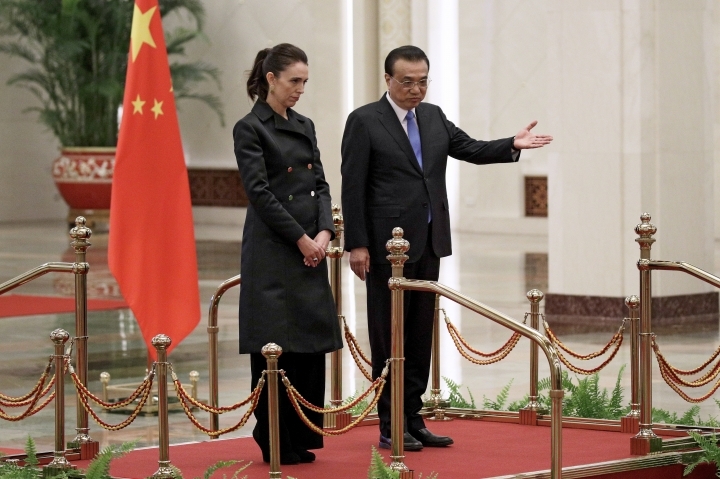 Ardern did not address investment issues in her opening remarks, but thanked Li for expressing China's condolences over the deadly shootings at mosques in the city of Christchurch. Her visit was cut back to one day following the March 15 shootings that killed 50 people. 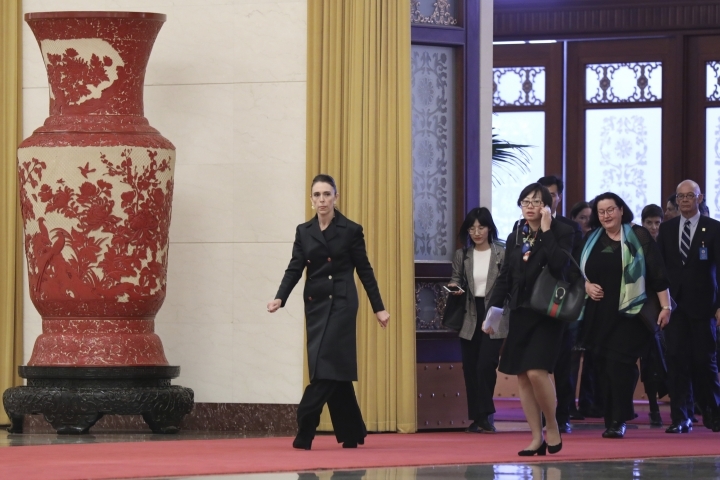 Ardern said she still wanted to "visit Beijing at this time to underline the importance that we place on our relationship with China. It is one of our most important and far reaching relationships, a point I've made in my public speeches over the past year." Following the meeting, the two leaders oversaw the signing of agreements on avoiding double taxation, agriculture, financial dialogue and science and research. 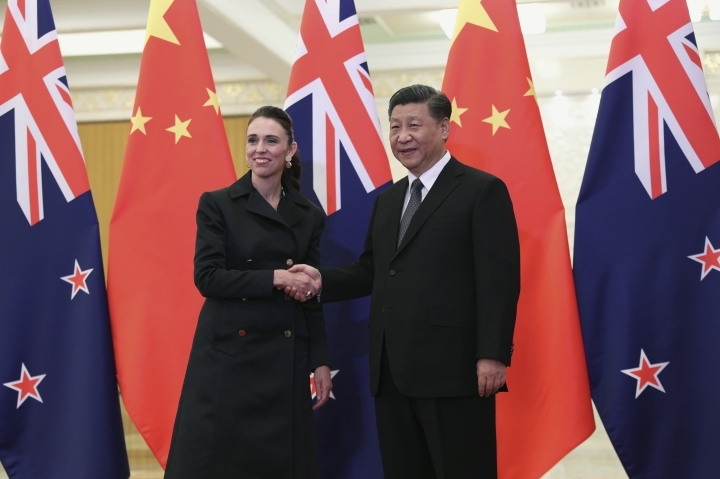 Ardern met later in the day with Chinese president and head of the ruling Communist Party Xi Jinping, who also expressed his condolences and said both countries must "adhere to mutual trust, the principle of mutual benefit and continue to develop the spirit of striving to be first." 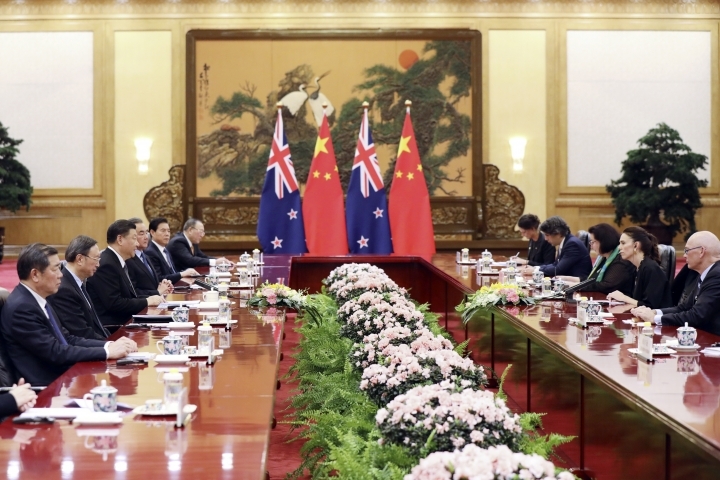 "We will continue to enrich the meaning of China-New Zealand comprehensive strategic partnerships, push forward the relationship between the two countries even further, and better serve the people of China and New Zealand," Xi said. The cordial tone comes after months of tensions between the sides, during which official visits and exchanges were delayed or postponed. The determination by New Zealand's spy agency that Huawei's equipment posed a "significant network security risk" sparked deep indignation in China, where the company is considered a national champion. 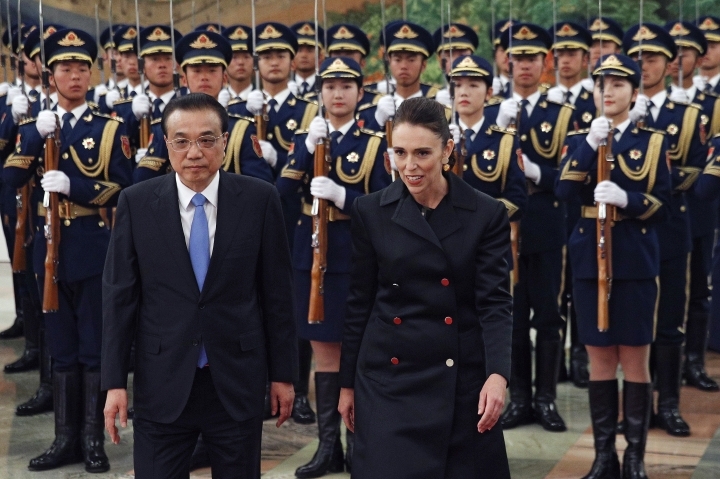 New Zealand has been caught in the fray as the U.S. cautions allies against partnering with Huawei over national security concerns. The country is part of the "Five Eyes" security alliance along with the U.S., Britain, Canada and Australia. 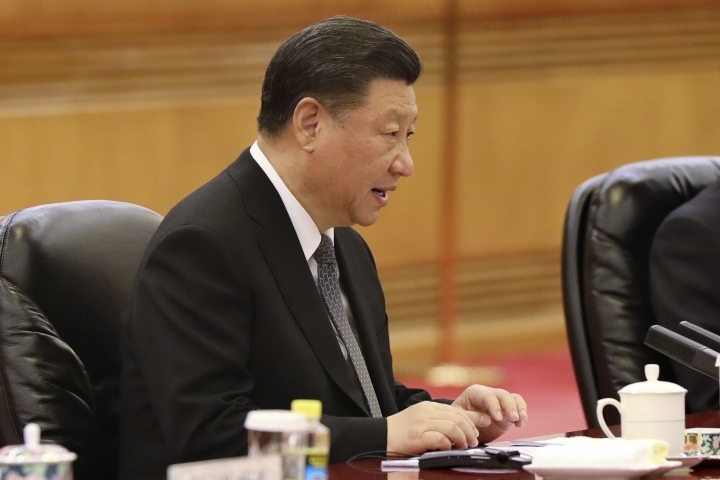 The agency's move brought condemnations in China's state media and indications of economic retaliation. China is a key customer for its dairy and other agricultural products. New Zealand's government says two-way trade between the sides more than tripled in the 10 years since a free trade agreement between the sides came into force in 2008. China is New Zealand's biggest trading partner, with $19 billion in commerce between them last year, as well as a key source of tourists and foreign students. 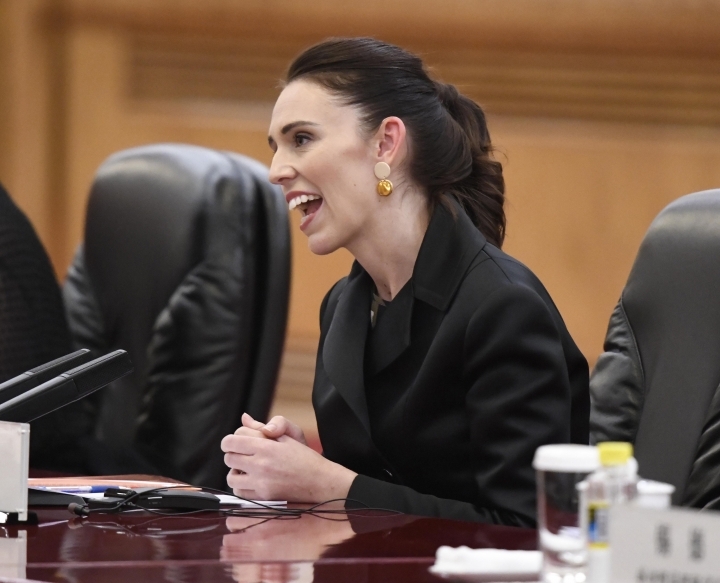 Ardern said last month that no final decision has been made on whether Huawei equipment can be used in the country's slated 5G network. 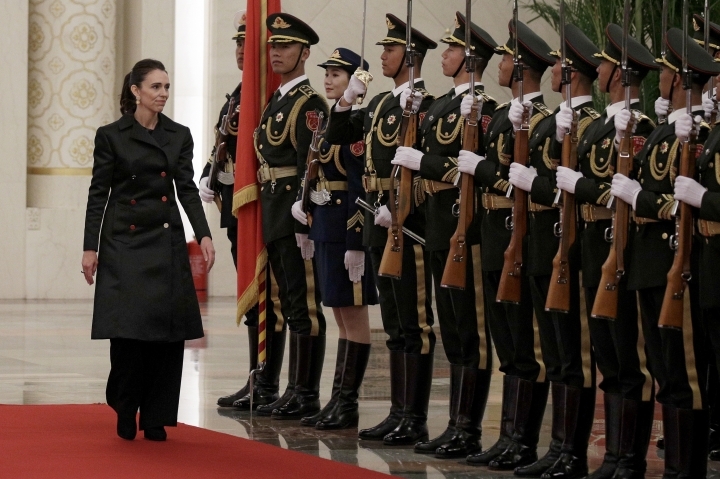 Human Rights Watch had called on Ardern to raise concerns about reported Chinese government abuses of Muslims during her visit, although it wasn't clear if she planned to do so. 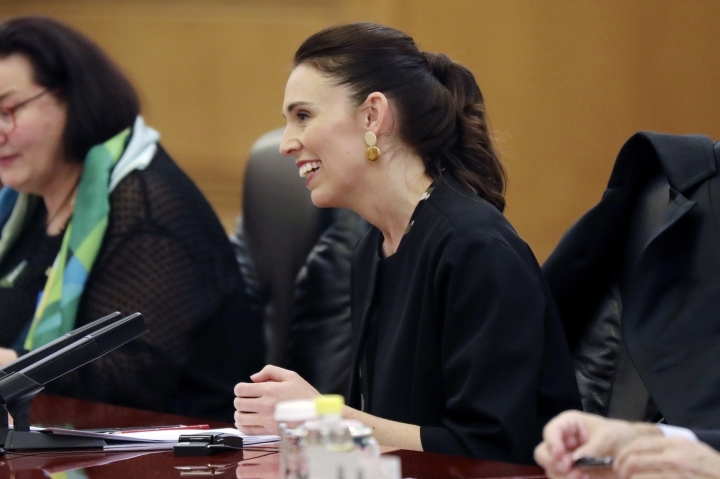 The group said Ardern "spoke forcefully in defense of Muslims' rights" after the Christchurch attacks and should do so again in Beijing. This story has been corrected to show that the China-New Zealand free trade agreement started in 2008.